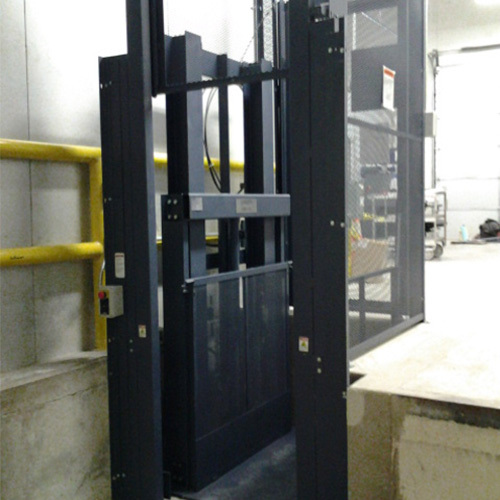 We offer high-speed package handling lifts specifically designed for automated system applications that require lifting of boxes, cartons, packages, totes, containers or cases. 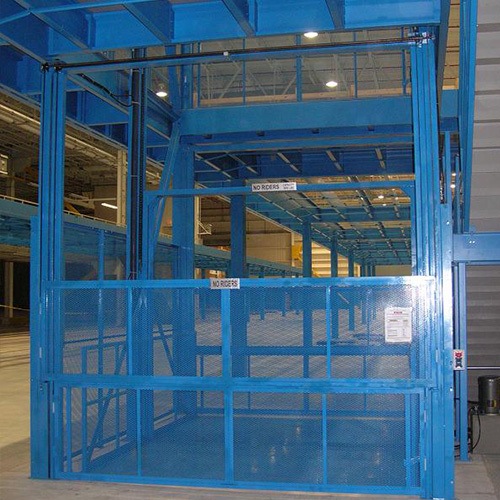 These package lifts provide nonstop transportation to or from balconies and mezzanines, over aisles or machinery, between floors or conveyor levels. Lifts loads up to 100 lbs. Carriage size is 3’ x 3’. Travel speeds from 60 FPM up to 600 FPM. Perfect for use in an automated conveyorized systems. Available with variable frequency or Servo drive packages. 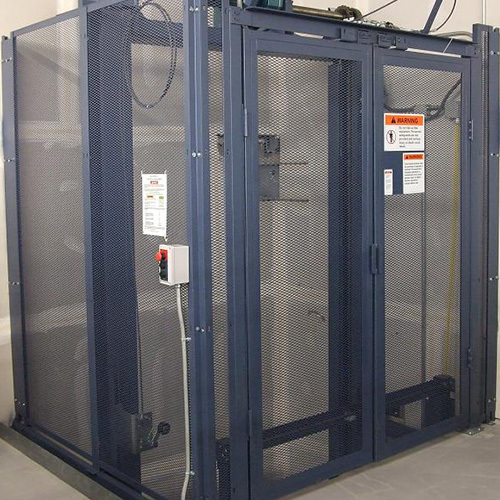 Provides high throughput of loads. Ideal for high-speed applications that require light-duty lifting of boxes, cartons, packages, totes, containers or cases. Moves loads between conveyor levels. Loading and unloading from three sides. The smooth and quiet counter-weighted lifting mechanism minimizes horse-power requirements and saves energy costs. Saves space and handles loads that are often transported on an inclined conveyor. 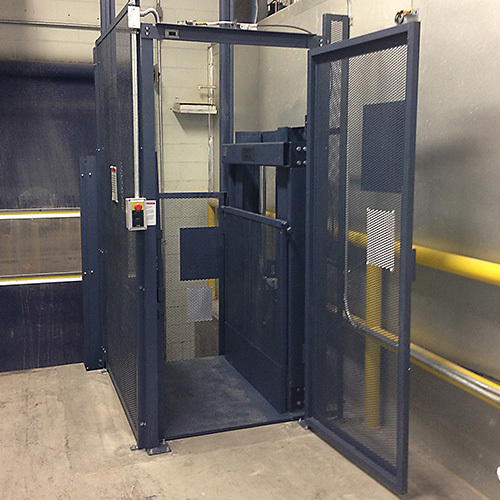 Built to Suit - Whatever the application - We can Design a Lift.